RURAL advocate Scott Sargood has died after a gyrocopter crash on Bundoo Station near Charleville on Tuesday morning. Mr Sargood died not long after speaking to a friend and colleague in the Green Shirts Movement, Bryson Head. "Scott called me at about 10.10am - I went and looked at the record of when he called me - and I actually said to him 'I'll call you back after work mate',” Mr Head said. 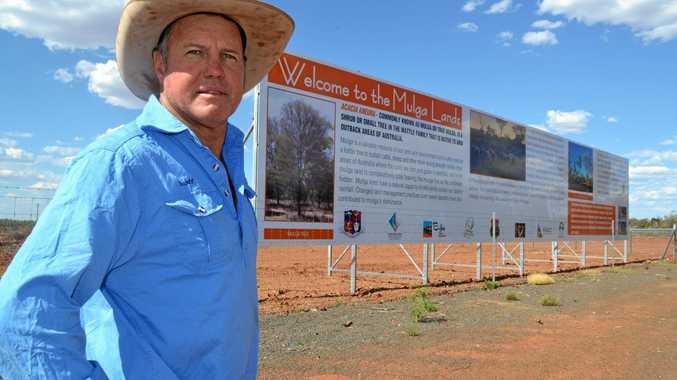 Tributes are flowing in for the 54-year-old who was known for his tireless campaigning on vegetation management, earning the moniker 'Mulga Man'. "He was just a larrikin, who was incredibly passionate about the ag industry, and about the cause,” Mr Head said. "He helped kick other people into gear to kick the Green Shirts off and was one of the people who was with us from the start. "The drought and everything kept him busy, so he couldn't do as much as he would have liked to do with the movement, but that was the reality of life that primary producers lead. 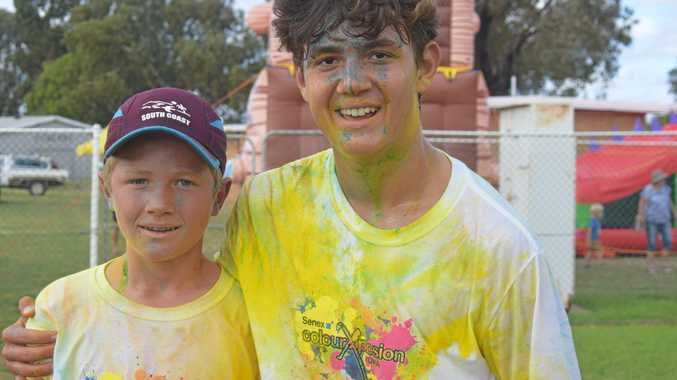 "For Scott, the picture was always bigger than him, it was about everyone in his community, and Western Queensland has lost one of its greatest advocates. "I don't think there was anyone who met him who didn't think he was a top bloke. A Queensland Police Service spokeswoman told Newscorp emergency services rushed to the scene Bundoo Station after reports a light aircraft pilot suffered critical injuries after a crash. It is understood Mr Sargood was mustering cattle before the crash. For Murweh Shire mayor Annie Liston, Sargood's death has rocked the southwest Queensland community of Charleville. "The whole town is feeling absolutely gut-wrenched in this very, very sad time,” Cr Liston said. Alongside his wife, Adma, Mr Sargood ran three adjoining property, totalling 34,000 hectares just outside of Morven, and together they petitioned to change vegetation laws, which at the time, threatened to impact people across the outback. He fought for graziers in the west to be able to use mulga as fodder, and was a founding member of the Green Shirts Movement in Queensland. The group made a statement on their Facebook page describing Mr Sargood as a selfless bloke who was always willing to help the industry and others. "I would like the whole Green Shirt family to remember Scotty, because he was a man worth remembering,” the statement read. Warrego MP Ann Leahy told Newscorp the agriculture industry will miss a legend after Tuesday's tragic incident. "We have lost one of our best,” Ms Leahy said. "Scott was an amazing guy, and was incredibly passionate about agriculture, his family and about the mulga lands. A police forensic crash unit is attending the accident site, and both the Civil Aviation And Safety Authority and Workplace Health and Safety have been notified.